National Hero Swami Vivekananda’s Birthday is celebrated as the national youth day in India. Swami Vivekananda who introduced the Sanathana Dharma to the world has attracted millions of youth towards the path of this great culture. 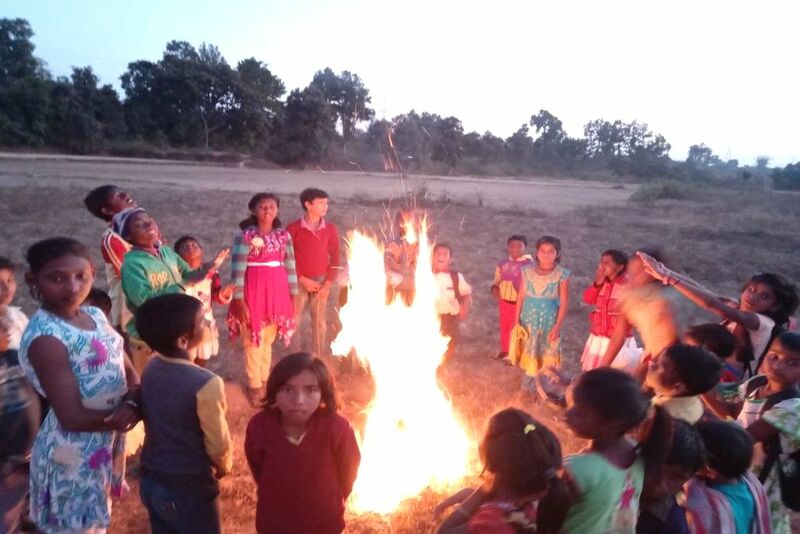 Devgain village in jharkhand became the host for the days celebrations for 165 children from 5 neighbouring villages. 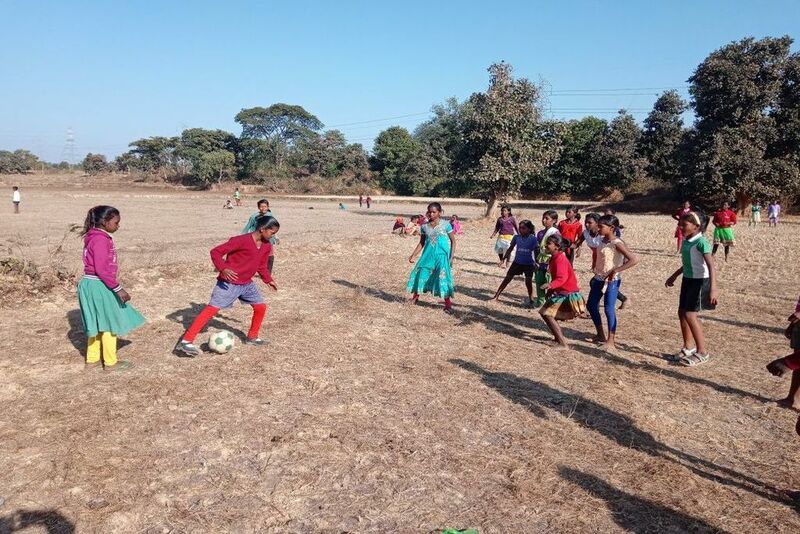 The mission for the one-day camp was to impart the culture of their mother land. 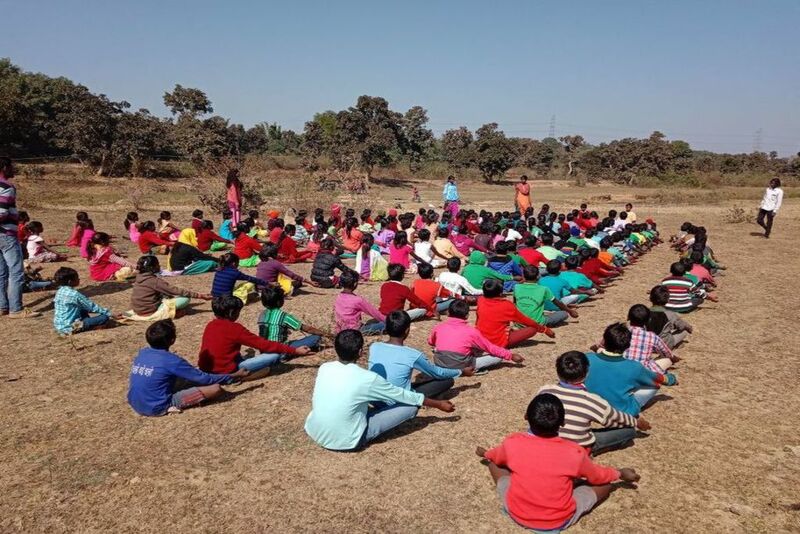 The camp began with Yoga. Amrita Yoga followed by Ma-Om meditation energised all participants. A melodious Bhajan session attracted the entire village to the camp centre, after bhajans and prasad distribution games were on. Games included team building games and leadership games. Finally, a football match which made everyone hungry. 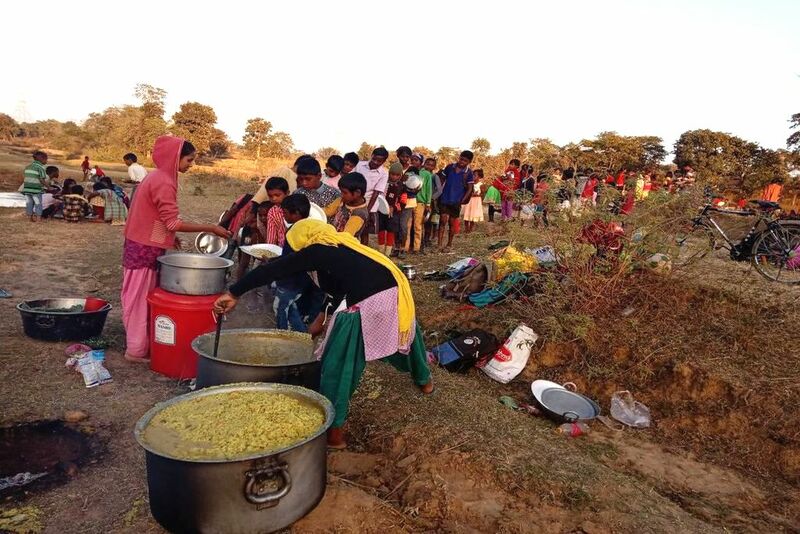 A special lunch was planned for the day every child brought one kind of vegetable from their home few brought different kind of masala powders, salt, oil, dal and other few brought some rice. Everybody together cooked and enjoyed a delicious lunch. Before everybody left they did not forget to clean the ground and thank each other for a wonderful day that they had. 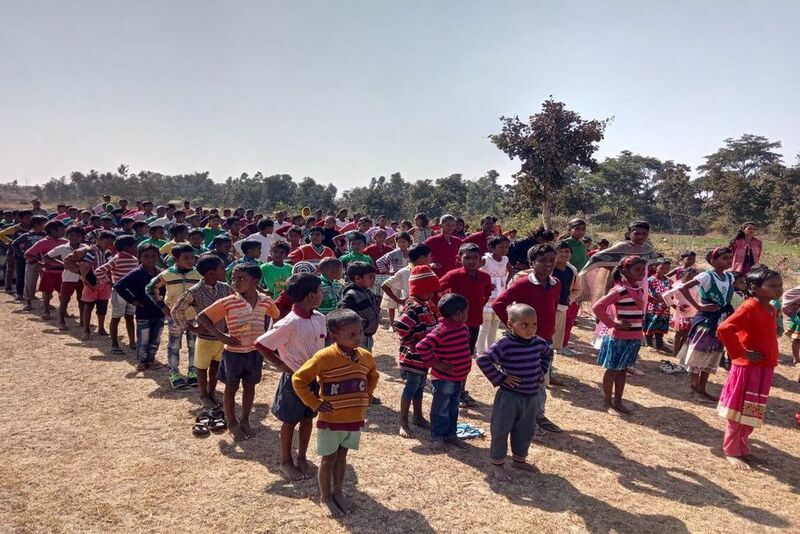 Amrita SeRVe Coordinator Shri Chandan says he was extremely happy to see the children coming together and having great fun and it turned out to be a zero-budget camp which they managed with local available resources.